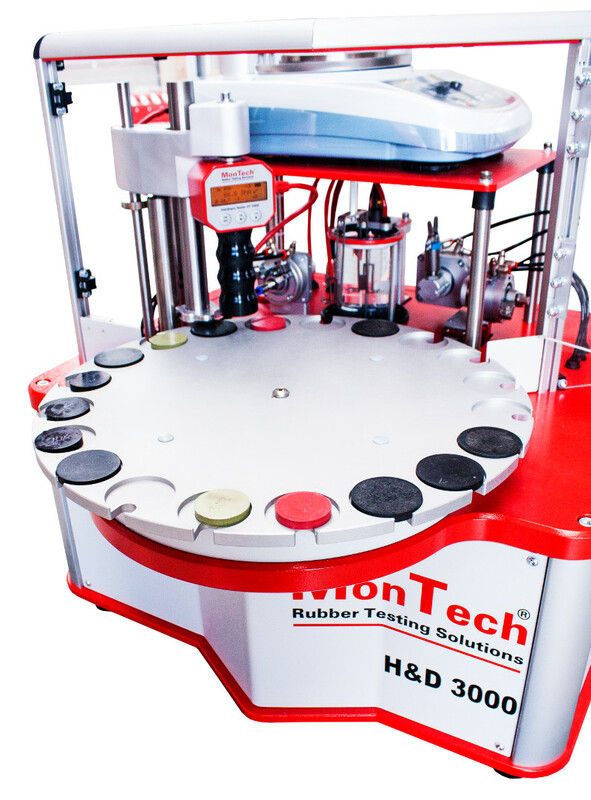 Rubber hardness and density testing is made easy using automated technologies to program and executive physical property test sequences. 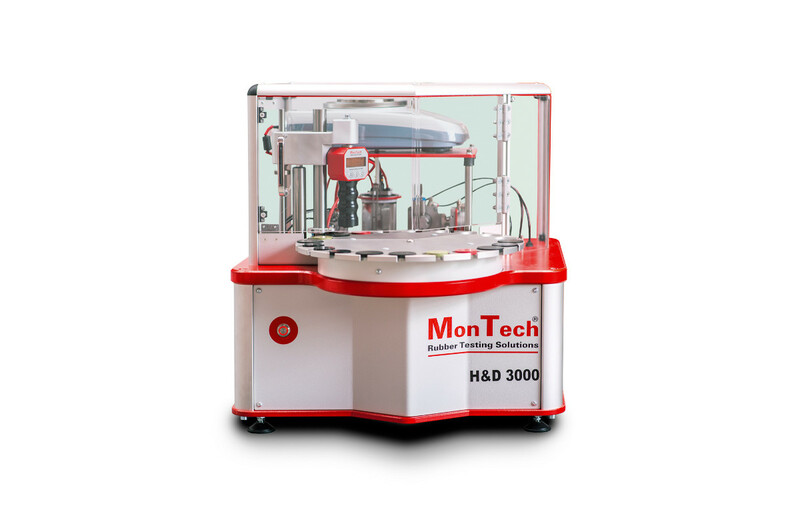 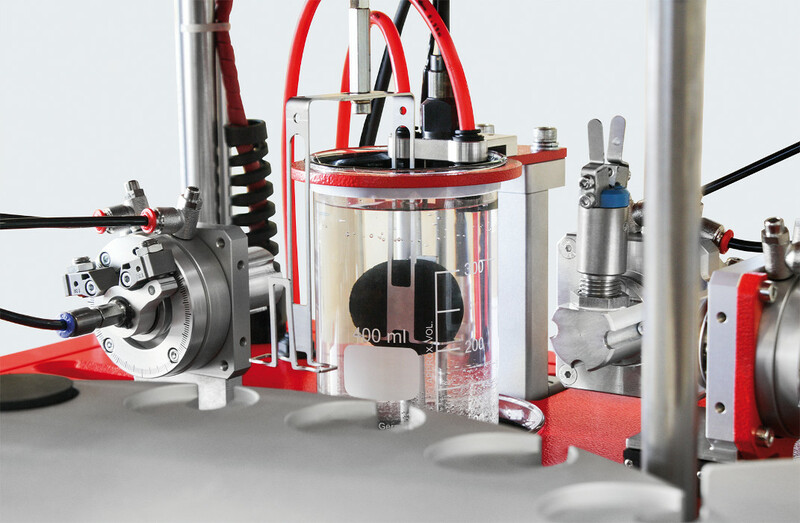 The H&D 3000 automated rubber hardness and density tester is designed for high production laboratories requiring regular intervals of both physical properties. 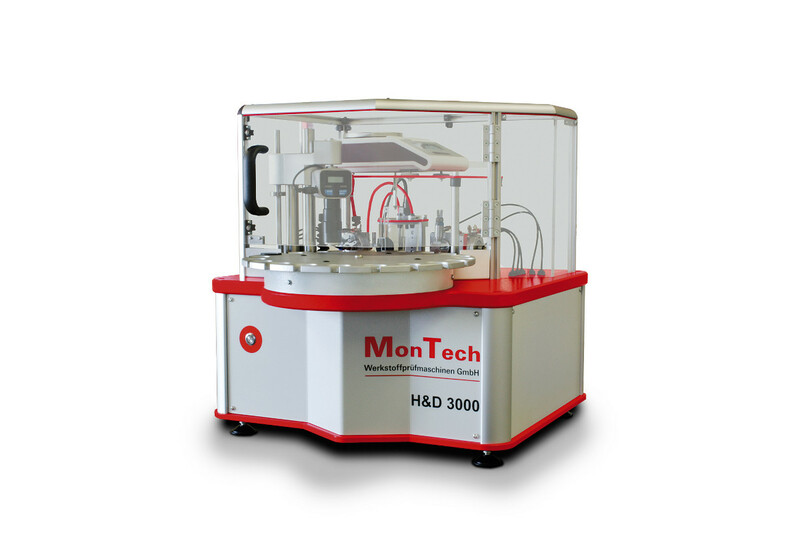 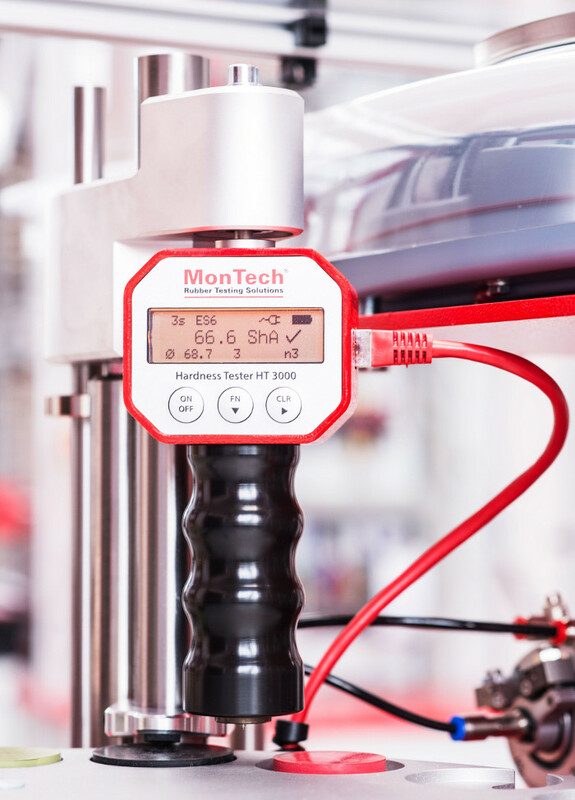 MonTech robotics systems carefully handle the sample through each step, measuring each sample until the test completed. 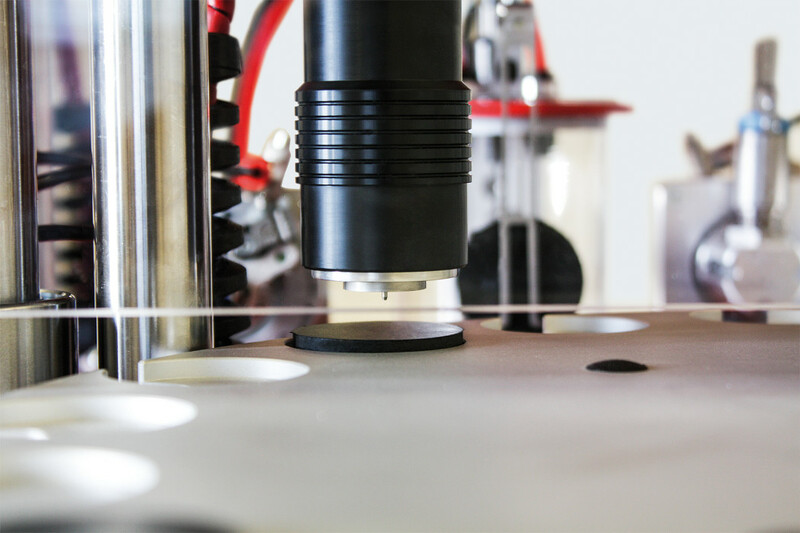 Test sequences are easily programmable and modifiable. 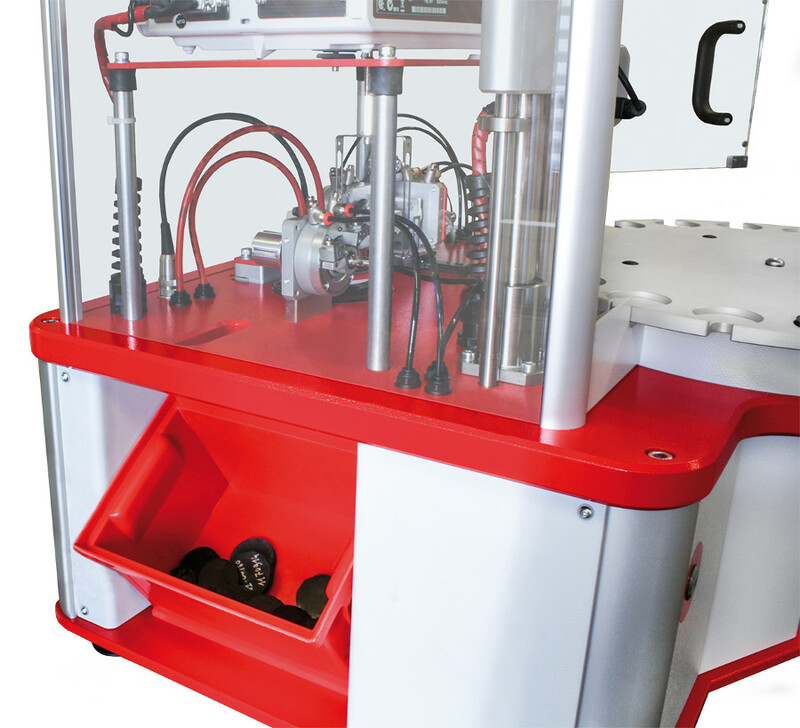 Due to the unique rotary tray design, the instrument can be continuously loaded and operated. 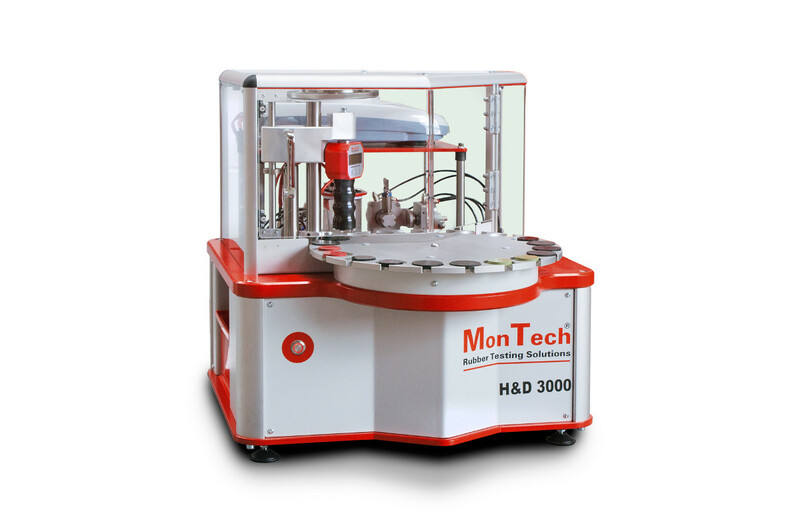 Once the data is collected through MonDevice software, data may be processed into database host systems.